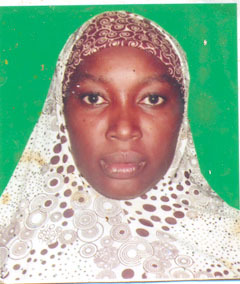 Mrs Abdulkareem K. A., a teaching faculty of Department of Plant Biology, University of Ilorin, Nigeria has joined C. G. Bhakta Insitute of Biotecnology with the scholarship awarded to her by Tertiary Education Trust Fund (TETfund). The 6-months Research Scholarship has been awarded for her to carry out part of her Doctoral Research work on Biosystematics Studies of Dipcadi species under Staff/Research Exchange Programme as a part of MoU signed between University of Ilorin, Nigeria and Uka Tarsadia Univeristy, India. Mrs Abdulkareem K. A. has resgistered for her Ph.D jointly under the Supervision of Dr. O. T. Mustapha, Department of Plant Biology, Unilorin, Nigeria and Prof. R. Krishnamurthy of CGBIBT, UTU, India. The UKA Tarsadia University wishes her all the best. Congratulations: Dr. R. Krishnamurthy, Professor and Director, CGBIBT has been selected as an expert member of Gujarat State Medicinal Plants Board in the area of Research Development Industry Group"
Dr. Prasant Kumar and Mr. Rushabh Shah published an articles entitled "Escherichia coli: does it merit a probiotic status?" in the Newsletter of PROBIOTIC ASSOCIATION OF INDIA (PAI). "Annual Day 2014: Celebrated on 26-03-2014"
"Hearty Congratulations to the Winners:"
Students of CGBIBT, Patel Kartik, VyasHima, from M.Sc. Biotechnology semester-2 and Patel Ami from Integrated M.Sc. Microbiology Semester-4 have cleared Minaxi-Lalit Science Awards Test 2014, conducted by the Department of Botany, USSC, Gujarat University, Ahmedabad on Sunday, 19th January 2014. CGBIBT received Rs. 25 lakhs, the 2nd installment grant on 10th Jan 2014 from National Horticulture Mission through Gujarat Horticulture Mission for Tissue Culture Project. This is in addition to the previous grant of Rs. 25 lakhs received in Nov 2012. The local Framers/Cultivators are largely taking advantage and benefit of this project in getting quality planting materials of Tissue Culture Plants. Prof. Dr. R. Krishnamurthy (Principal Investigator) and his team tenders hearty thanks to NHM, Shri Navanji Bhakta (Philanthropic Donor) and BPKM for granting this type of commercial Tissue Culture Project at CGBIBT,Maliba Campus, UkaTarsadia University. A meeting was arranged to discuss about developing Joint Venture Collaborative Research Project. Mr. Animasaun David Adedayo, assistant lecturer plant biology from University of Ilorin is currently with C. G. Bhakta Institute of Biotechnology, UkaTarsadia University on staff/research/training exchange program. This is the move as a result of MoU signed between UkaTarsadia University and University of Ilorin, Nigeria. Mr. Animasaun David Adedayo is meeting and interacting with student of C. G. Bhakta Institute of Biotechnology. "Celebration of Krishna Janmashtami 2013: Aarti, Rangoli and Mehandi compitition"